our tricks of the trade, all right here. Keep your move on time, on budget, and running smoothly by following our team's pro packing and moving tips. Just beginning your moving plans? Contact Planes Moving & Storage for a free moving quote. Plan as far ahead as you can. Moving companies can book up fast, especially during the summer months. It can be difficult to secure your preferred dates if you wait until the last minute. Getting everything set up ahead of time can eliminate a lot of stress. It can also help you save. Choosing less in-demand times of the year or days of the week can mean discounted rates. Understand your insurance valuation coverage. Ask about valuation coverage. 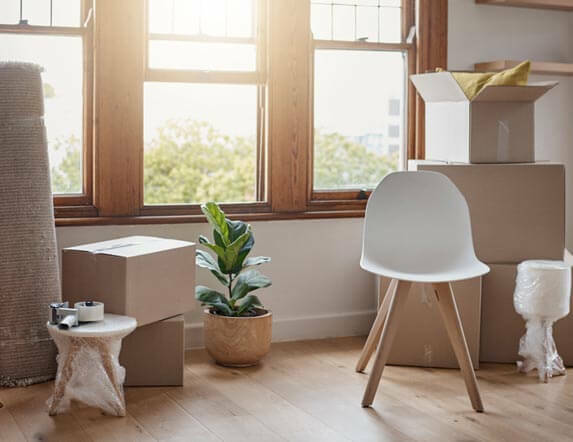 Make sure you understand what kind of coverage you have for your move just in case something gets damaged during transit. We recommend you verify your homeowner’s or renter’s coverage, especially if you opt for legal liability coverage. Before the packers come out, set aside items to take with you that you know you’ll need right away (toiletries, a change of clothes, phone chargers, coffee maker, TV remotes and cords, toilet paper and paper towels). Designate a corner, closet, or bathtub as a “do not pack” zone and label accordingly. The packers are fast and efficient and if these items aren’t set aside prior to the move, they may disappear into a box before you know it! The biggest reason for damage, including crushed containers, is not using enough paper. So when packing yourself, use plenty of paper to wrap items and fill up air space in boxes. Build a cushion in the bottom of the box with crumpled up paper, pillows, towels, or blankets. Newspaper works if you don’t have packing paper, but know that the ink can rub off and leave smudges on your belongings. If you have time, mark more than one side of boxes so you don’t have to turn them or unstack them to read what’s inside. Mark fragile items–painters tape works well. Painters tape is also great for marking “right away” boxes you’ll need to identify and unpack more quickly. When you disassemble furniture, put the screws and small pieces in labeled plastic zipper bags. Then tape them to the underside or inside a drawer to keep everything together. Top left drawer is usually the standard in multi drawer items like dressers. You want to mark each bag, in case it gets separated from the rest of the furniture piece. Bag things that can leak and try to transport them yourself. If you absolutely have to take items that can leak, make sure sure to seal them up. Leakable items like cooking oils or powders, shampoos, liquid medicine and more, should go in plastic sealable bags. Try to take these in your own vehicle. We do not recommend that Planes transport them because, if they leak and damage your shipment, it will not be covered. If a leaky item damages another customer’s shipment, you could be held liable. Have coolers handy for items that need to stay cold. Plan to take these in your own vehicle. What will you need when you arrive at your new place? Think of items you’ll need to get settled in first and unpack: dish soap, hand soap, paper towels, toilet paper, phone chargers and more. Think about parking and building logistics. Can you save a spot for your car and the moving truck? Do you need to reserve an elevator in a condo or apartment building? Fill it with snacks, drinks and cash to get you through the day. One or more doors will likely be open all day. It’s best to make arrangements for your pets and kids to be in another place, safe and out of the way of the movers.